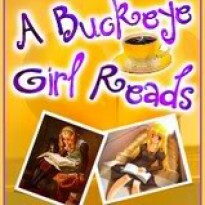 Originally posted on A Buckeye Girl Reads I think I'm the only one who didn't love this book. In fact, it was a dnf for me. While I loved Zane, I had trouble connecting with Teal. While I loved her seeing come into her own, her constant whining over Zane not remembering their one night together when he was really drunk got old fast. I also had trouble that she didn't admit her feelings for him until he had her from guys who had kidnapped her and had to dodge bullets and sharks circling overhead to do it. Oh yes, and after he rescued her from the bad guys there was a tropical storm that they had to escape from and then they found a plane crashed into their dive site which got them a visit from the Men In Black. This is when I almost stopped reading even though it was close to the end of the book. Why is it I have no problems with people chasing demons and going into different realms, but a little rescue scene annoys me? While I did have lots of trouble liking Teal, I loved Zane even if he was a little too well, mushy for my liking. He made me regret not majoring in marine biology or taking diving classes so I could go hunt for treasures with him. Even though this was a dnf for me, I've decided to give it another try. I think the warm weather of the Caribbean was just too much for me to take during this dreary winter we've been having here in Ohio. After I couldn't finish this, I gave this book to my Aunt to read, because she adores romantic suspense novels and she thought I was crazy for not liking it. She loved it so much she read it in one sitting, so obviously my judgment is impaired in some way for not loving it. I normally don't star do not finish's but this one wasn't horrible, just wasn't in the right mood for it.